Dr. Fannie Valois-Nadeau is a postdoctoral researcher co-supervised by Professor Kim Sawchuk at Concordia University and Professor Samantha King at Queen’s University. Her postdoctoral research explores the articulations between active ageing discourses, the culture of philanthropy and “retromarketing” practices within the Canadiens Alumni Association. Her work is part of a critical reflection about ageing in public and the political context of ageing in Quebec. Her research interests are situated in cultural studies, memory studies, ageing studies and sport studies. She is currently student rep for the ACT network. 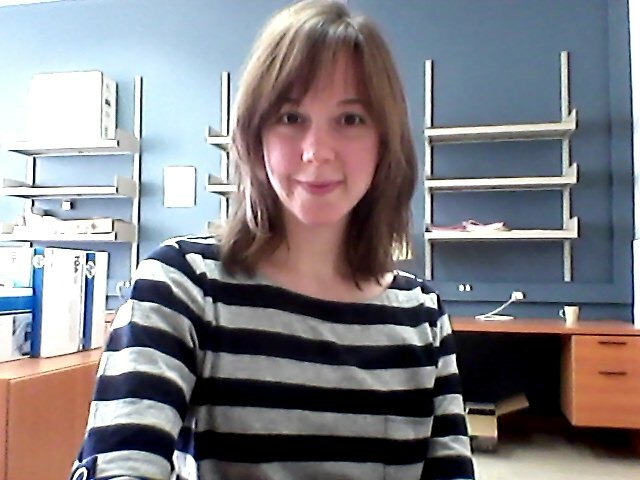 After a MA and a BA in Sociology at the Université du Québec à Montréal (UQAM), Dr. Fannie Valois-Nadeau has completed her PhD in the Joint Program in Communication at Université de Montréal (UdM). Under the supervision of Dr. Line Grenier, her doctoral dissertation explores the centennial anniversary of the Montreal Canadien hockey team and proposes a communicational approach to “doing memory”. This project has brought into light the valorization of intergenerational relations in the Montreal Canadien discourse and produces a critical reflection on its commodification and its political implication. As a research assistant, Fannie Valois-Nadeau participated the collaborative ethnography regarding the musical contest “Étoile des Aînés” directed by Dr. Line Grenier. The article “‘Vous êtes tous des gagnants.’ ‘Étoile des aînés’ et le vieillissement réussi au Québec” is the first to have come out of this collaboration. In addition to her participation in the ACT network, she is also member of the Lab Culture Populaire Connaissance Critique (CPCC) and of the King research group.